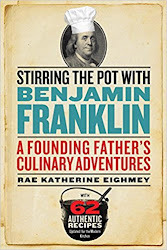 As he had for the preceding seven years, Benjamin Franklin spent Christmas 1783 in France. Franklin and his guests would have been in high spirits. The peace treaty ending the American Revolution had been signed by all parties. Soon the nation's first diplomat and his grandsons Benny and Temple would be able to return to the rest of the family in Philadelphia. 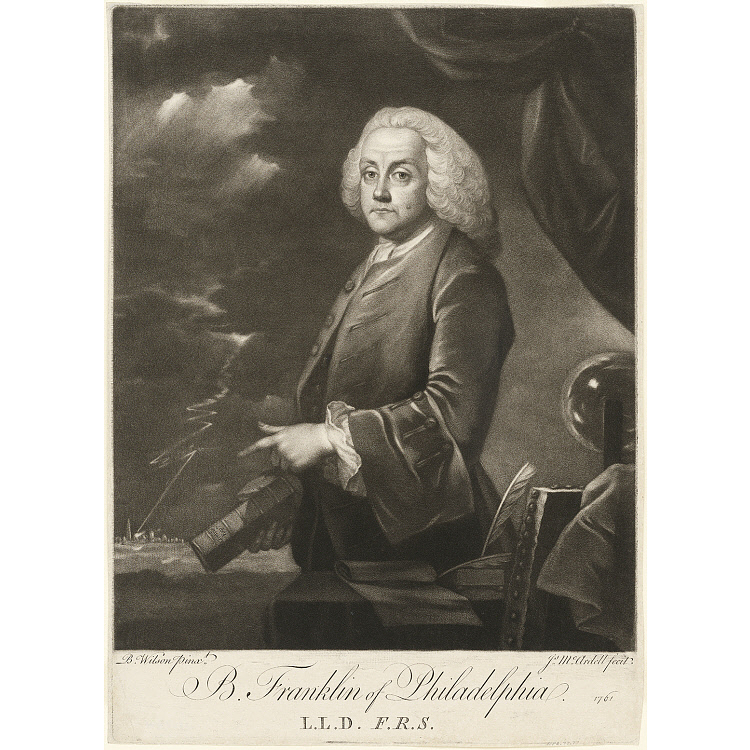 On an earlier trans-Atlantic journey from London, 23-year old Benjamin Franklin considered the errors, not the successes of his life so far. He used the two-month voyage to take stock. From that contemplation he drew up what came to be called his Book of Virtues -- a daily checklist of thirteen areas of behavior. At first he made his tallying checkmarks in a paper notebook. However, rotating through the pages every thirteen weeks, the paper began to wear out as he erased his entries to start his notations anew. 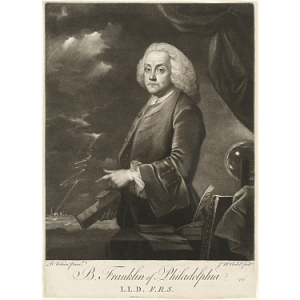 Recognizing that this would be a lifelong practice, Franklin purchased a memorandum book with ivory pages. He inscribed his goals with ink making them permanent and he then could continue marking his daily accomplishments, or failures, with an easily erased lead pencil. Benjamin carried this journal with him on his journeys, even during his time in France. Years after his death his French friends and admirers recalled, "We touched this precious booklet, we held it in out hands! 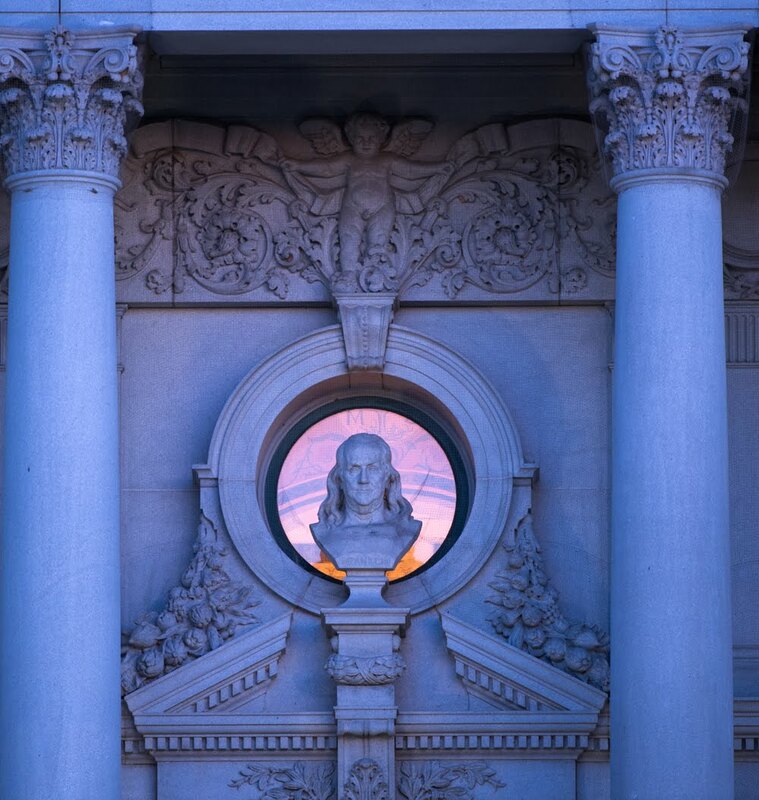 Here was the chronological story of Franklin's soul." and Apricot Marmalade from Chapter 12 A Kitchen View of the Year of Peace. Franklin promoted his virtuous ideals in the pages of his Poor Richard's Almanac. He wove his sayings through the almanac listings of astronomical conditions. Frugality was one of his key considerations. As was the importance of pickles to healthy eating. He wrote: "Squeamish stomachs cannot eat without pickles." And the corollary: "Hunger is the best pickle." Wash the cucumbers and cut them into slices, about 1/8-inch thick. Peel the onion, cut in half lengthwise, and then cut into 1/8-inch-thick slices. Layer the cucumber and onion slices in a nonreactive bowl, sprinkling salt between the layers. Cover and let stand in a cool place for 24 hours. Drain off the accumulated juices. Pour the vinegar over the vegetables and let stand in a cool place for 4 hours. Drain the vinegar into a saucepan, add the mace and peppercorns, and bring to a boil. Divide the cucumbers and sliced fresh ginger between two hot, sterilized pint canning jars. Carefully pour the boiling vinegar over the cucumbers. Put lids and screwbands on the jars and let stand in a cool place for 2 or 3 days, shaking occasionally. As the original 1717 recipe said: "In two or three days they will be fit to eat." Store in the refrigerator for up to 1 month. 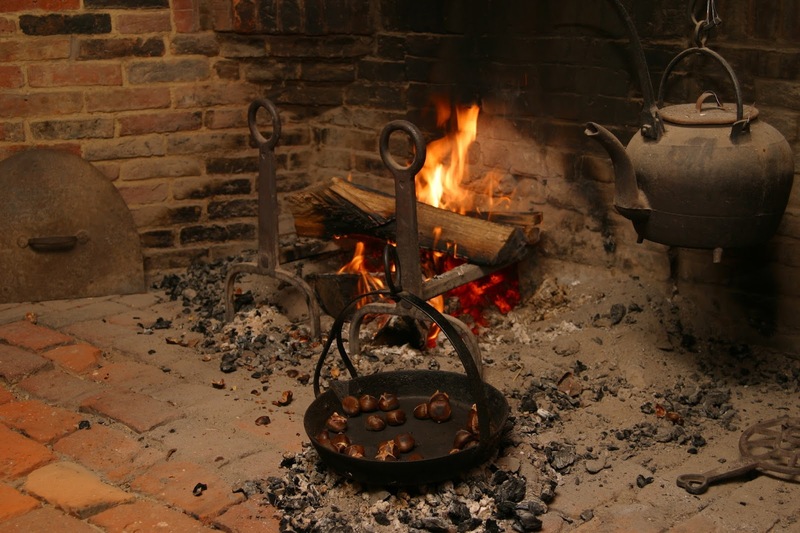 Adapted from "Cucumbers Pickled in Slices," T. Williams, The Accomplished Housekeeper, and Universal Cook, 1717. Copyright 2018 Rae Katherine Eighmey. All rights reserved.